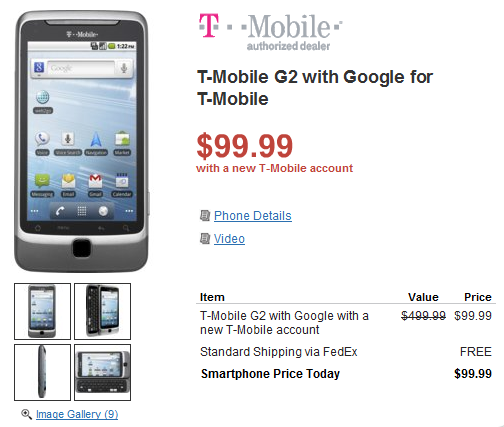 Wirefly, notorious for launching the best mobile deals on the web, did not disappoint us today, which, if you remember, is the official T-Mobile G2 launch date. While the competition sells the G2 at $199.99 and even $149.99, Wirefly's $99.99 deal for new accounts completely knocks it out of the park. Add free shipping and the absence of tax, and you get some serious savings left in your pocket. So serious that this deal is now our Deal of the Week (see the top of the sidebar). 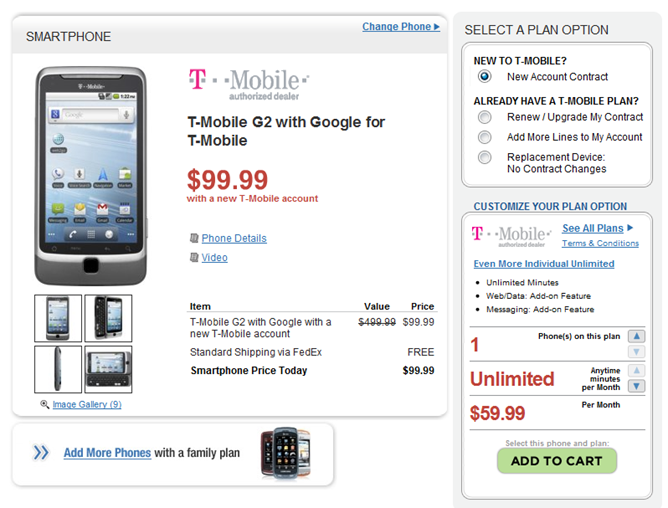 Existing T-Mobile customers - your deal isn't as sweet but still better than T-Mobile's own - $199.99 with no tax added on. Adding a line? Wirefly's price for that is $149.99. Those of you who already pre-ordered with Wirefly, no need to worry - they will match the price automatically and you will only get billed the $99.99 price (new accounts only). So, who's picking one up?